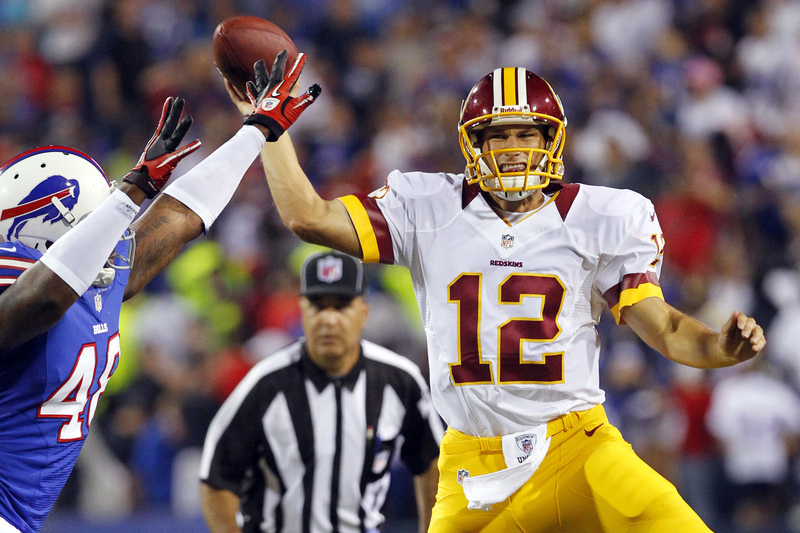 The Redskins never came close to dealing quarterback Kirk Cousins and he will remain RG3’s primary backup. For dynasty purposes, that’s all he’s good for as its highly unlikely he ever gets a starting job. After potentially starting the season atop the depth chart at receiver, Stedman Bailey will be suspended the first four games for a performance enhancing substance. The Rams didn’t start any receivers this week so Bailey had a good shot at getting significant playing time. However, this will severely handicap that and diminish any real dynasty value. Don’t get too excited about Levine Toilolo as the Falcons are expected to give more targets to Harry Douglas as they update their offense. Douglas will have some value but not nearly as much as last year when Julio Jones and Roddy White were injured. This entry was posted in Daily Update and tagged harry douglas, kirk cousins, levine toilolo, stedman bailey. Bookmark the permalink.